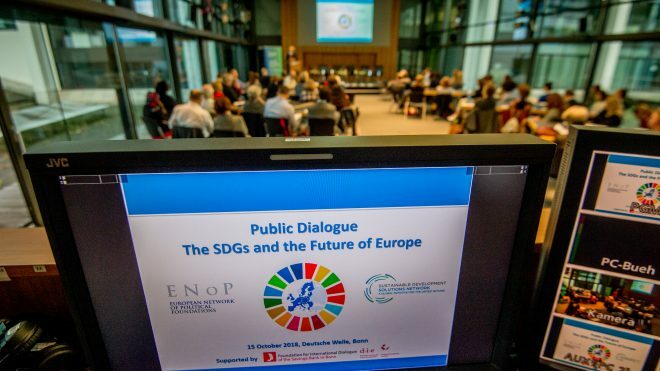 In the context of the SDG implementation and universal Agenda 2030, the European Network of Political Foundations (ENoP) and Sustainable Development Solutions Network (SDSN) joined hands in organising a conference on 15 October 2018 in Bonn, Germany. 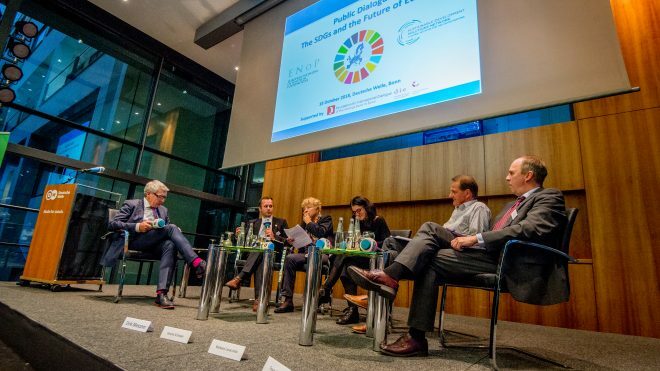 The event brought together politicians, experts and members of the two networks in a debate to examine the current state of play of the Sustainable Development Goals (SDGs) in Europe. 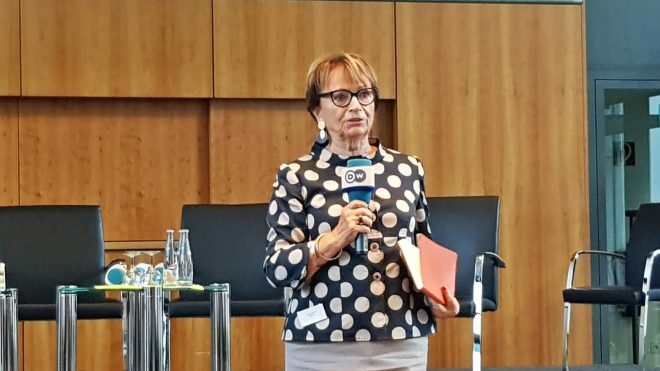 Furthermore, it explored the possibilities the future impact the SDGs can have on the Multiannual Financial Framework (MFF, 2021‐2027) as well as in the upcoming European Elections in 2019. 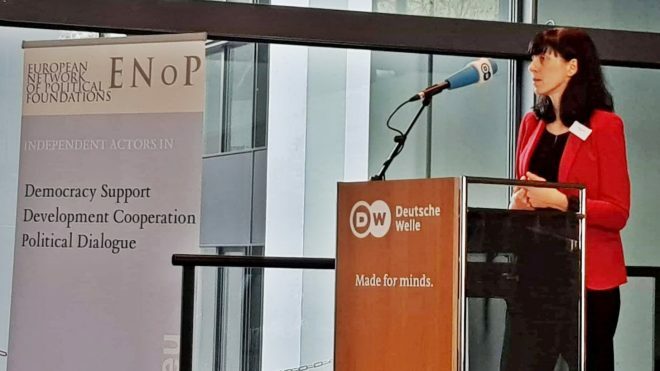 Welcome by Guido Schmidt-Traub, SDSN Executive Director, and Johanna Lutz, ENoP Coordinator importance of SDGs as well as the need of cooperation between ENoP and SDSN on this topic. The workshop was organised in four sessions exploring different aspects of SDG implementation. 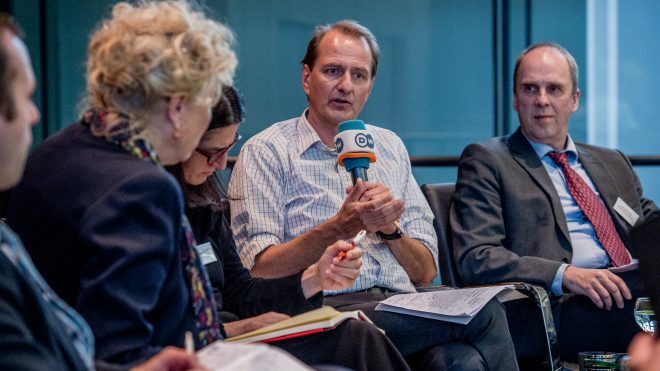 In the introductory session Johan Rockström gave the keynote that Germany needs to have a leading role in the implementation of the SDGs in Europe, highlighting the importance of a transformative agenda. 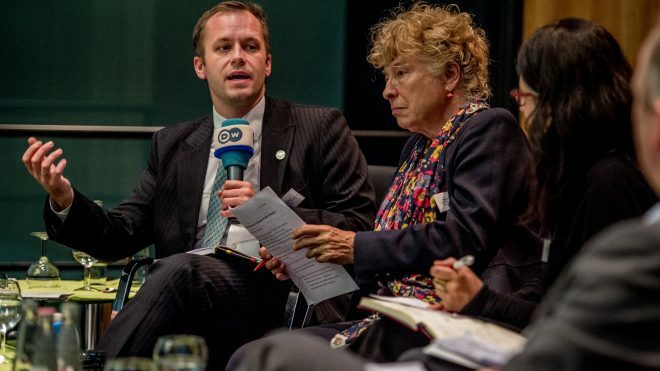 A panel discussion with Gesine Schwan, Matern von Marschall and Timotej Šooš followed, debating the question whether the EU could be a champion of the SDGs. The first workshop discussed the role the Multiannual Financial Framework plays for budgeting for the SDGs. 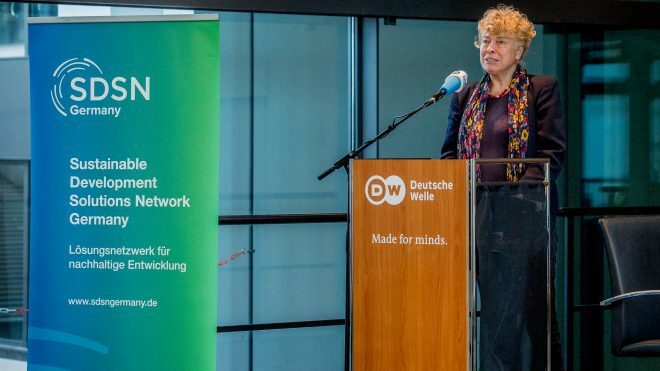 Christine Hackenesch from the German Development Institute (DIE), gave the input for the session. The role of facilitator took Karl Falkenberg, former Director-General for Enviroment at the European Commission. 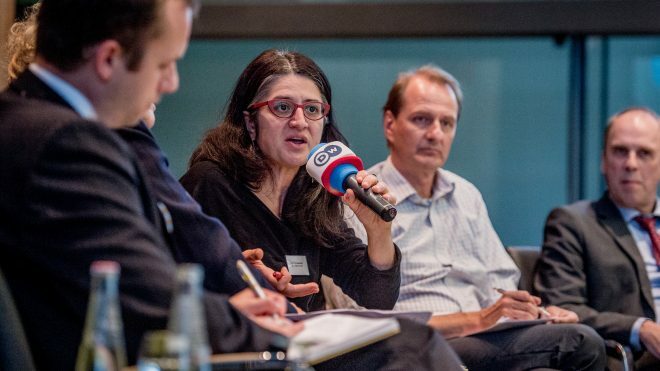 In the second workshop Valentina Scarpa Bonazza Buora, from the Magna Carta Foundation in Italy, gave input on the question how one can engage with the political partiers in the upcoming European Elections. 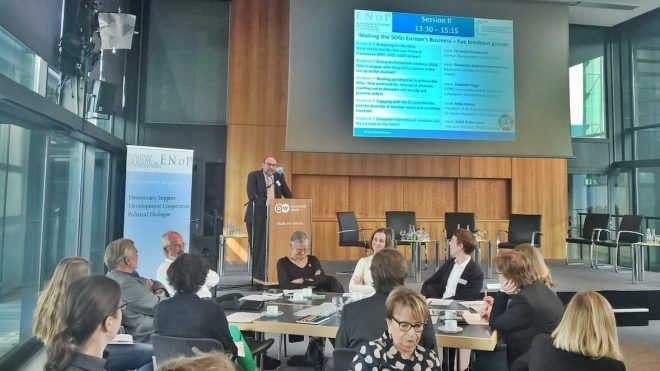 Facilitator for this workshop was Marcel Mersch, Head of Department Sustainable Development and Coordinator of the Progress Society Iniative (S&D Group) at the European Parliament. The third workshop engaged on the development of networks in the aspect of achieving SDGs. 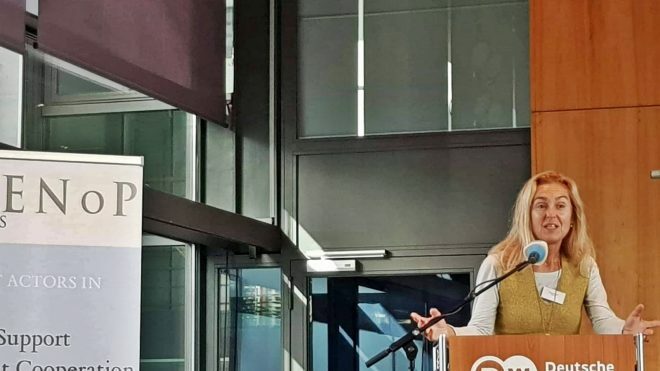 Elisabeth Hege, IDDRI, Governance and Financing for Sustainable Development in France, provided the input of the workshop and Alina Garkova, Policy and Liaison Manager at ENoP facilitated. In the fourth workshop Katya Koleva, Chair of the Institute for Social Integration (ISI), Sofia, provided input on how to engage with the EU presidencies and the diverstiy of member states and candidate countries. Ciprian Nevula, sociologist and former State Secretary of the Ministry of European Funds in Romania facilitated the workshop. In the fifth and final workshops the question whether the EU could lead on the SDGs was debated. 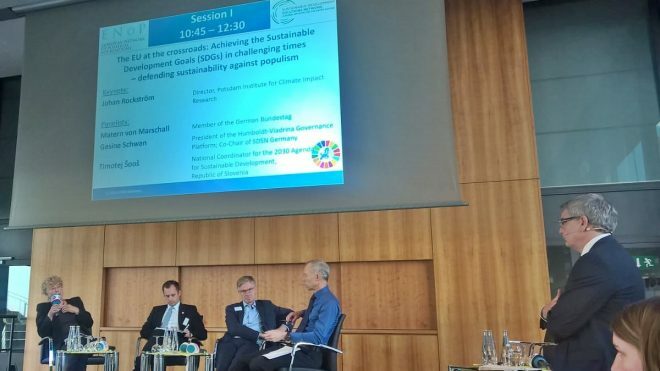 Damjan Krnjevic Miskovic, Center for International Relations and Sustainable Development in Serbia, gave input and Adolf Kloke-Lesch, Executive Director of SDSN Germany, faciliated. 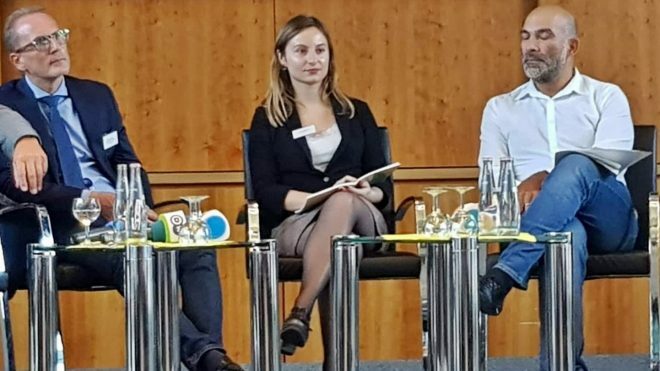 After a coffee break the event continued with the third session and a panel discussion with the facilitators of the working groups discussing key messages for European politics over the next 12 months. 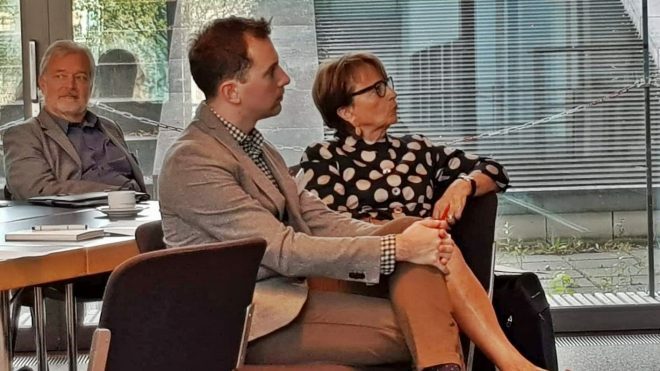 Finally, Dirk Messner, Director of the Institute for Environment and Human Security from the United Nations University, and Doris Pack, ENoP Board Member, concluded the event and gave their outlook on future collaborations between ENoP and the SDSN. A public dialogue followed in the evening.